All Bob Page wanted was a job that didn’t make him miserable. Ditching his auditing job and going pro with his thrift-store hunting hobby seemed like the thing to do. His parents thought he was throwing away his UNC education. The Small Business Administration wouldn’t give him a loan. Both were wrong. 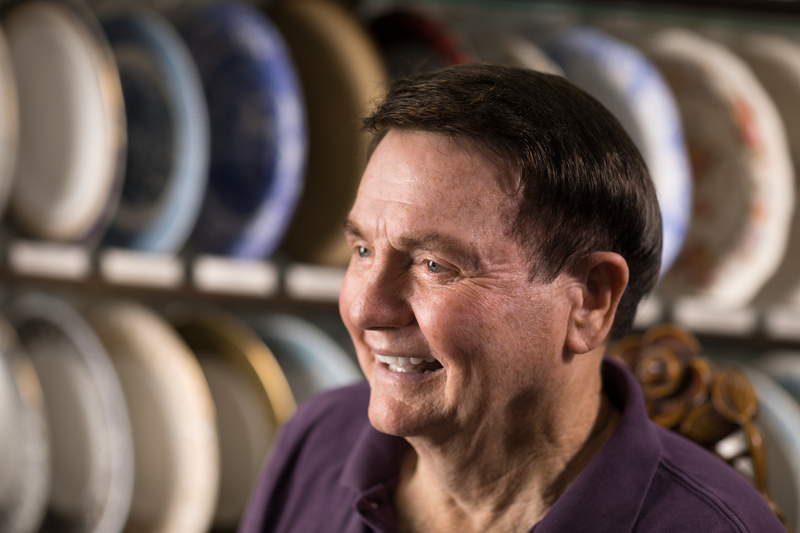 Today, Bob’s the head of a unique dinnerware empire with more than 400 employees and a half million square feet of inventory they ship to loyal customers around the world. Replacements, Ltd. has won numerous awards for innovative workplace practices. “Pick something you enjoy. Don’t do it for the money,” he says. 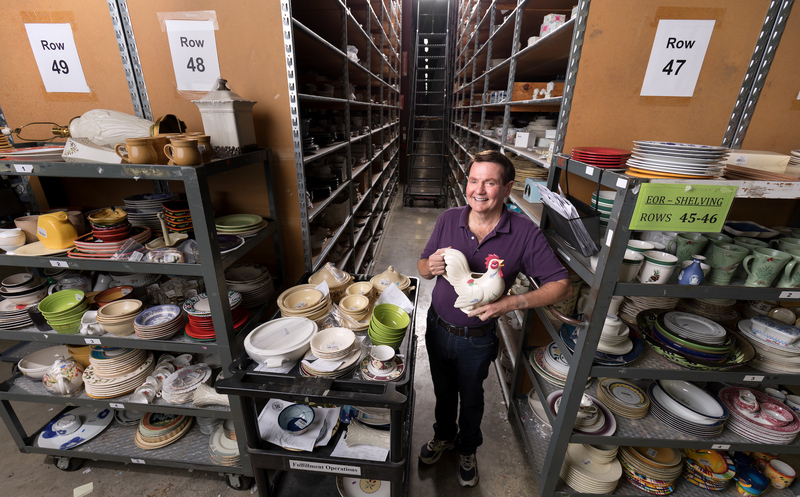 Replacements, Ltd. helps people restore precious memories – and create new ones – by filling their cabinets with beloved dinnerware, flatware, crystal and other collectibles. “I never really thought of myself as an entrepreneur. I just think of myself as someone doing a job I love,” Bob says. Lest you wonder how important their dinnerware business is, consider this: Last time they held their all-you-can-fit-in-one-box for $5 Replacements Yard Sale, people from 14 states came. The next yard sale is September 23, the same day as the grand opening of the OUTLET at Replacements. More than 36 years in, Bob’s thrifting skills are still sharp. His clothes are all second hand. He and his husband, Dale Frederiksen, still enjoy scouring thrift shops and flea markets looking for great finds— treasured pieces sure to end up on someone’s holiday table. While Bob has his favorite patterns, his family of five doesn’t plan to use fine china this Thanksgiving. They’ve got teenagers, after all. Bob has shared his success with communities near and far; locally, he has been a significant supporter of Triad Health Project, NCCJ, Guilford Green Foundation -and many other nonprofits. When Replacements celebrated the company’s 30th and 35th anniversaries, employees built houses for Habitat for Humanity paid for by the company. He also founded Bob’s Closet, a collection of clothes he has found at second-hand stores that he provides, at no cost, to organizations like Youth Focus, the YWCA of Greensboro and the Interactive Resource Center. Tags: Bob Page, Entrepreneur, Replacements Ltd.